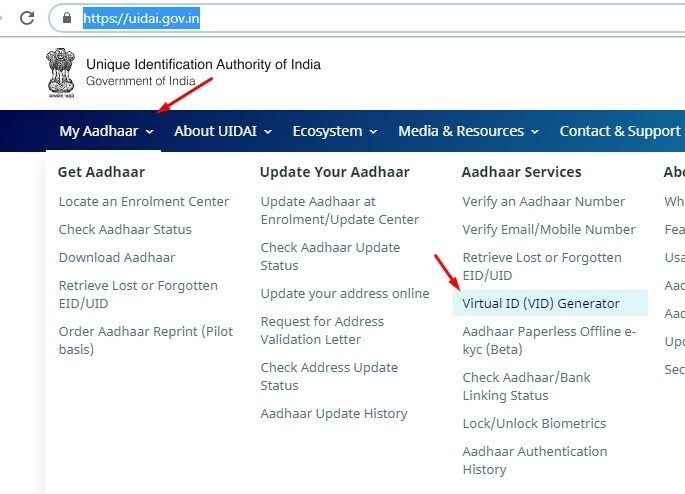 But now you don’t need to give your Aadhaar’s 16 digit number to anyone as now you can generate Virtual ID number which will work as Aadhaar number. You just need to create an alias to your Aadhaar number which you can delete and create a new one anytime. Also Read : How to Change/ Update Address in Aadhaar Card Without Address Proof? How to create a Virtual ID? Step 2) On next screen fill Aadhaar number and security number to get OTP on mobile. Then fill OTP on the right side. Step 3) Then you will receive your Virtual ID on mobile message. That’s it now you don’t need to give your actual Aadhaar number to anyone. just keep this VID handy and give this Virtual ID in place of your Aadhaar Number where ever required.